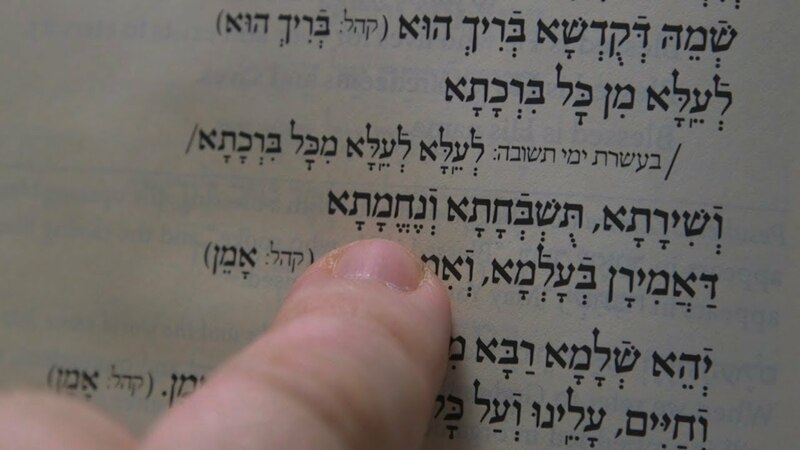 There were a couple of times when I said Kaddish in some unconventional or “unorthodox” circumstances, but they were quite meaningful to me, nevertheless. One of them was shortly after Sheloshim, which is the first 30 days following the death of a loved one. Our family had the opportunity to spend a weekend at my husband’s sister’s beach house in New Jersey. There was no synagogue within walking distance. That Friday night I went up on their rooftop porch, as the sun was about to set. I had a most magnificent view of the horizon to my east, where the ocean met the sky, and to my west, where the glistening water of the bay met the sky. I prayed the Kabbalat Shabbat service with such kavanah, spiritual intention, and was so moved by that setting that I said the Kaddish aloud. There was no one to respond but, I felt such a strong connection to my mom at that moment. She’d grown up in a seashore town and just loved the ocean. Saying Kaddish for her there- just felt like the right thing to do in that moment. shiva, so I was grateful for the chance to visit with her and her family. And, I wanted so much to, just once, recite Kaddish with her. During my brief stay, they arranged for us to attend their Reconstructionist synagogue for a weekday Mincha/Ma’ariv service. It turned out that no one else showed up for minyan other than the five of us. I was the only one who was religiously observant in the group. They turned to me and said, “What shall we do now?” I said we could all pray the Mincha service together and then my aunt and I would recite Kaddish, even without the minyan. It was the one and only chance we had to do so, and I was determined to make it happen, even without a minyan. And, although, this was a highly irregular situation, it was comforting to say Kaddish with my aunt, with the other family members responding to our prayer. It has been especially meaningful for me to be able to say the Mourner’s Kaddish at Netivot Shalom, my home synagogue in Baltimore, Maryland. On many occasions, my voice was the only one saying it. And yet, I felt that I was given the utmost of respect. Unfortunately, the same is not true for all women in all Orthodox synagogues. I can only speak for myself when I say that being a solo woman’s voice chanting this prayer amongst my congregation, gave me a feeling of empowerment and, at the same time, consolation. They enabled me, regardless, of who else was in the kehillah (congregation) at the time, to continue my healing process and my efforts of raising the soul of my beloved mother. I truly felt that each response of Amen, Brichu, blessed be He, and yehay shmay rabah mivorach, May His great name be blessed, acknowledged me in my grief and helped me in my mission to elevate my mother’s soul. Our ancient rabbis were very wise in how they constructed the Jewish mourning practices, recognizing the many psychological, emotional, and spiritual needs of the mourner. My friends, these needs are universal to all people. Therefore, it only makes sense to welcome and embrace a female mourner, just as well as a male mourner. And Netivot Shalom does that so very well. One of my mom’s favorite Hebrew songs was Oseh Shalom. Sometimes when I say those words at the conclusion of Kaddish, I can faintly hear her voice singing them as well. Oseh Shalom bimromav, hu ya’aseh shalom, aleynu, v’al kol Yisroel, v’imru amen. May He who makes peace in His high places, make peace for us and all Israel, and say: Amen. Pronounced: MINN-khah, Origin: Hebrew, the afternoon prayer service. According to traditional interpretation of Jewish law, men are commanded to pray three times a day. The prayer traditionally recited for the dead, in Aramaic, transliteration and English translation. Yizkor is recited four times a year during holiday synagogue services.